← Jim’s BIG Day! Happy 50th baby! Wishing a fond farewell to a wonderful baby! Mack came into our lives three months ago when his daddy took his own life and left him without someone to care for him and love him. A co-worker told me about his predicament and Jim and I decided to try and make it work with our three babies. Unfortunately, Mack is just like all Bulldogs and it just was not a great fit for our family. Although he got along well with Boots, with Misty’s age, Hauns’ diabetes and subsequent blindness, it was just too difficult! 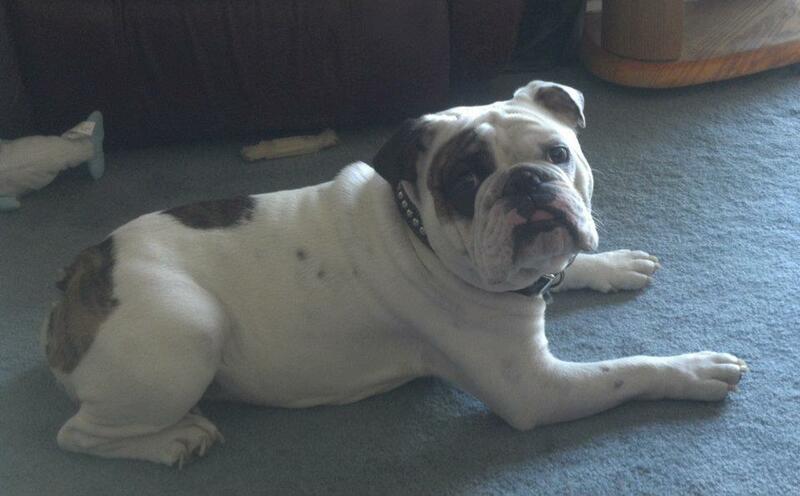 We were able to find Mack a wonderful new home through Great Rock Bulldogs. He is with other bulldogs and has found a loving home. We will miss you! This entry was posted in Furry Friends and tagged Breeds, Dogs, Great Rock Bulldogs, Pets. Bookmark the permalink.